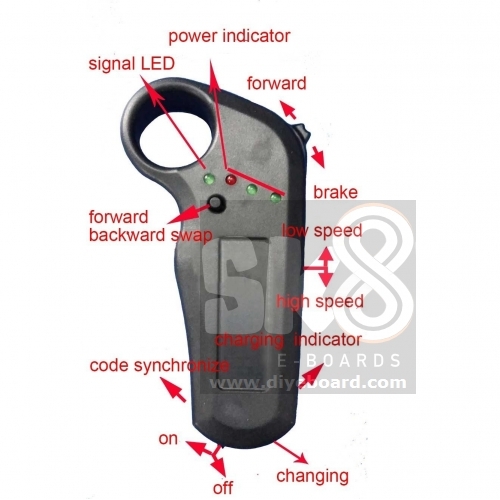 An entirely new vista in electric skateboard thinking almost opened for me last night. I’m real keen at the moment about an Elos kick skateboard converted to electric, as posted yesterday. Someone on Reddit posted a link to DIYeboard and I finally had some time to check it out. And I almost had some hope that I could make an electric Elos myself. 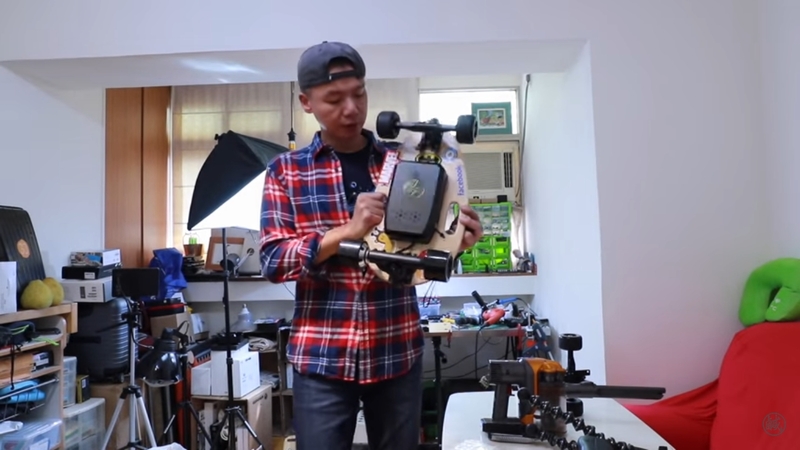 Looking at this photo, the video of his conversion process, and the DIYeboard site, I’m certain he’s using the same stuff they offer. But everything falls apart after that. That’s actually an entire assembly. 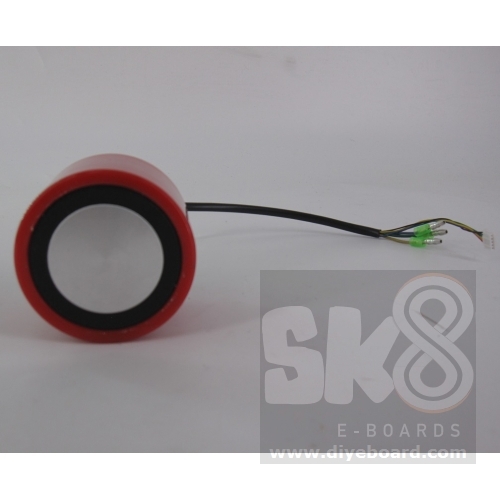 And DIYeboard offers nothing like it. So where is he getting it? I’ve seen a video where he gets an entire shipment of them, so someone is making them somewhere. 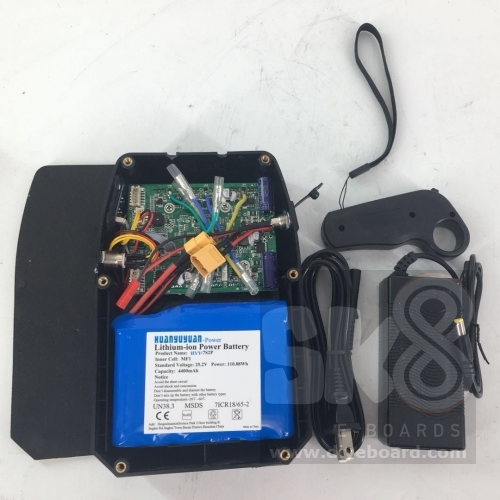 All DIYeboard offers is a dual hub motor arrangement, which the guy in the videos says shouldn’t be used because it’s too much power for such a small board. My own concerns are the added weight and how fast it would drain the battery and shorten the range. So there might be hope there unless by “hubs” he means it’ll still be dual-motor! I’d just throw up my hands an order one from the guy on YouTube, but there doesn’t even seem to be a way to do that! There’s no contact information I can find. As a last resort, I’ve asked him on YouTube — using English and Google Translate to Chinese — where he gets that truck assembly with single hub motor. I’ve also asked for help on Reddit. Having an entire kit would change everything. I’d be able to swap that to any deck I wanted in the future. I know that this setup won’t create a very powerful board (using it for Death Hills is out), but I think it would be the safest one for someone like me, who’s just starting out. What I really like is the range, 11 miles. Speed doesn’t matter, 12-14mph is fine for now. And the portability is absolutely excellent. Those dual side handles are great to have. 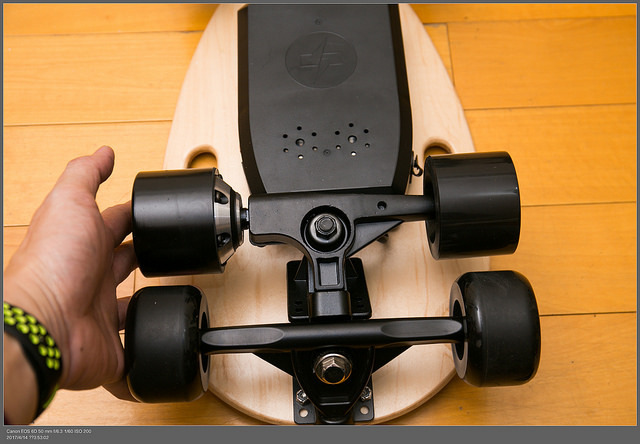 So far, this is almost the electric skateboard I want. It’s just a matter of finding that rear motor assembly! Oh, and what about the Onan Booster X2 for this? It shouldn’t be done. First, the wheels are too large. 90mm versus the 70mm of the Elos. Second, it’s a dual motor setup which would provide too much power.